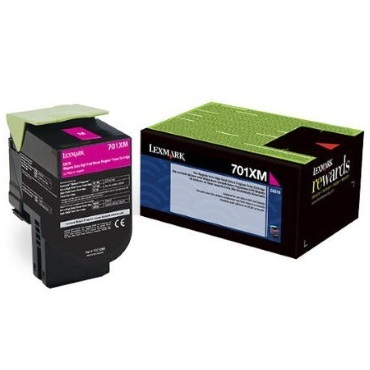 Genuine OEM Lexmark Toner Cartridge, Magenta, Extra High Capacity 4,000 page yield. Lexmark part number: 70C1XM0, 701XM. Color Laser Toner Cartridge compatible with Lexmark CS510de.